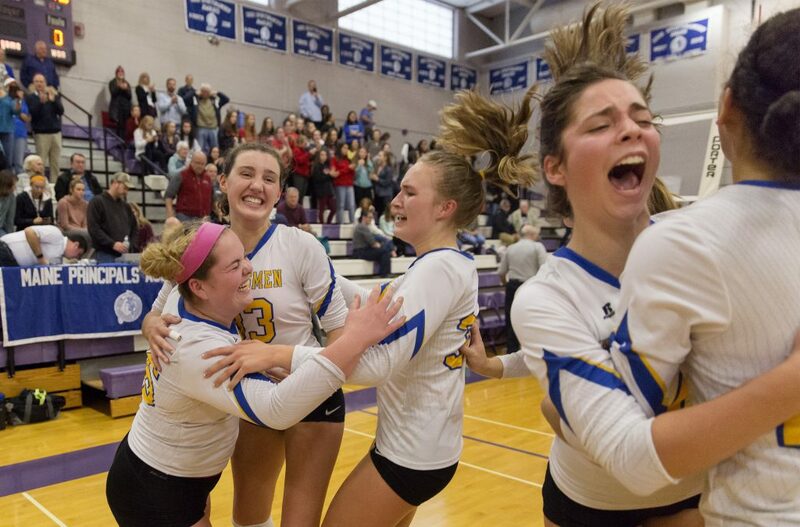 SOUTH BERWICK — Top-seeded Falmouth earned its second volleyball state championship, and first since 2013, ending No. 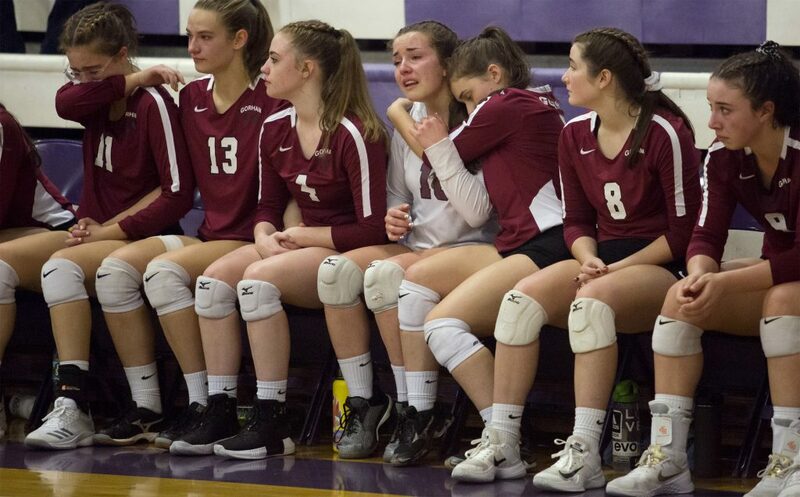 2 Gorham’s bid for an undefeated season and its first state title with a 3-0 victory in the Class A final Saturday at Marshwood High School. 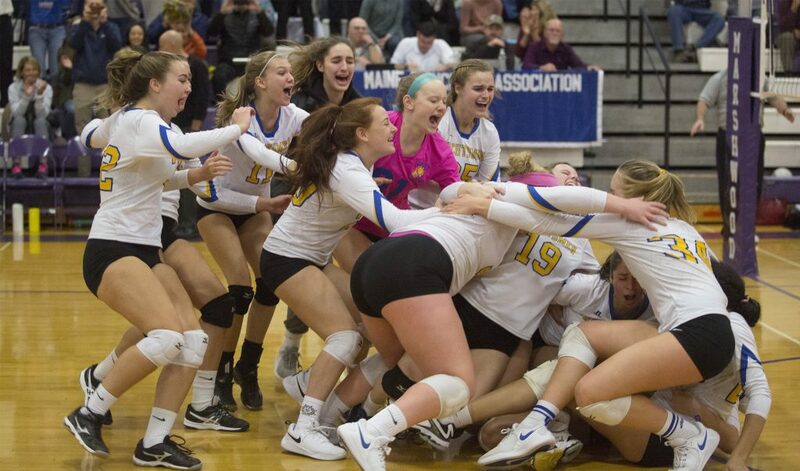 Falmouth, last year’s Class B runner-up before returning to Class A this year, jumped out to early leads in each set and was in control throughout on the way to a 25-18, 25-17, 25-16 win, as both teams finished the season 16-1. 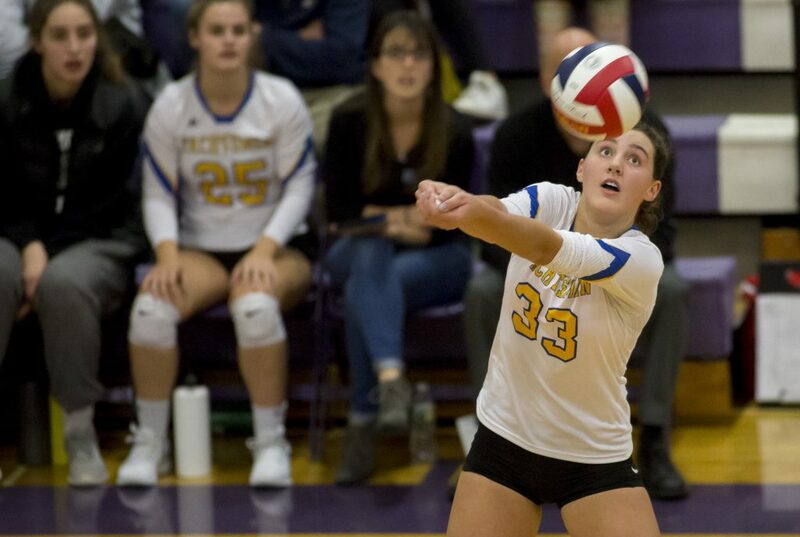 Sophomore outside hitter Annika Hester led the Yachtsmen with eight kills, two of them high-flying power shots in the second set that twice stopped the Rams’ momentum. 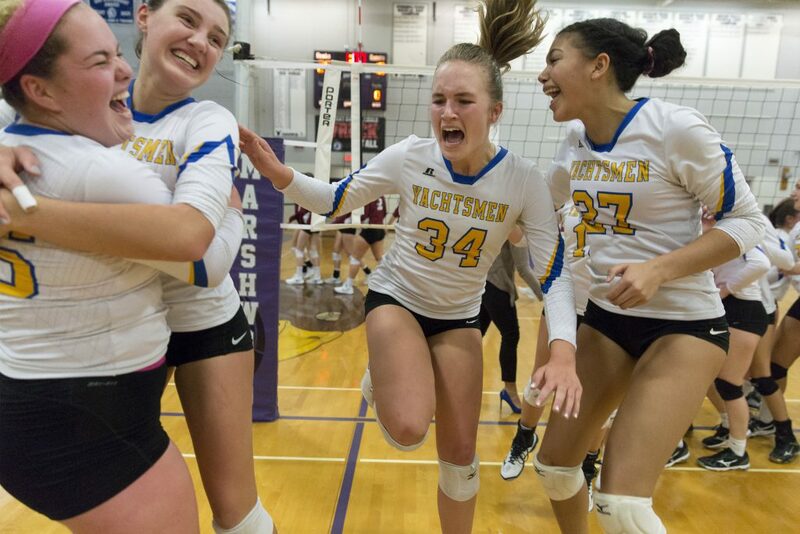 Falmouth’s first-year coach, Larry Nichols, said there was much fine-tuning done to give the Yachtsmen an edge over an opponent they didn’t face during the regular season. 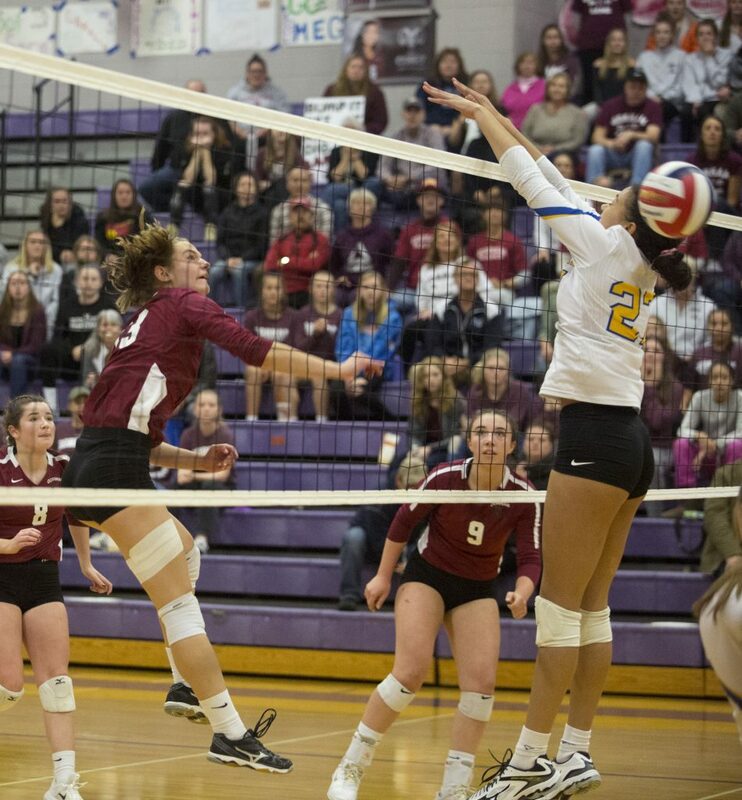 Riversmith had five blocks – including the winning point – and a kill. 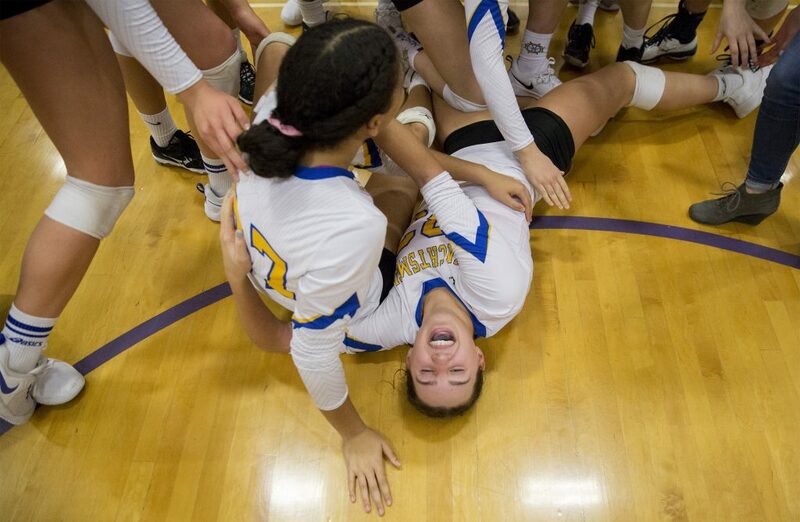 Senior setter Summer Spiegel also was instrumental, setting up sophomore middle Katie Phillips on a play where Phillips slid behind Spiegel and finished with a hard shot that was like an exclamation point. 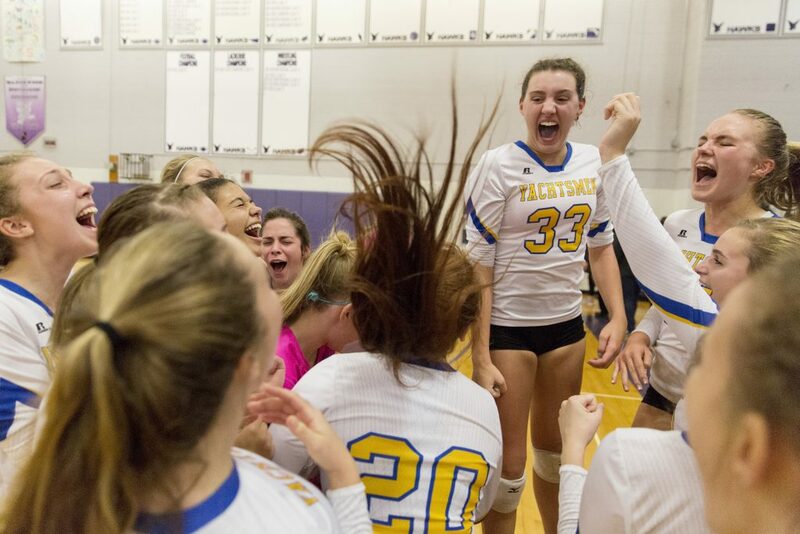 Phillips had three kills, two aces and three blocks. 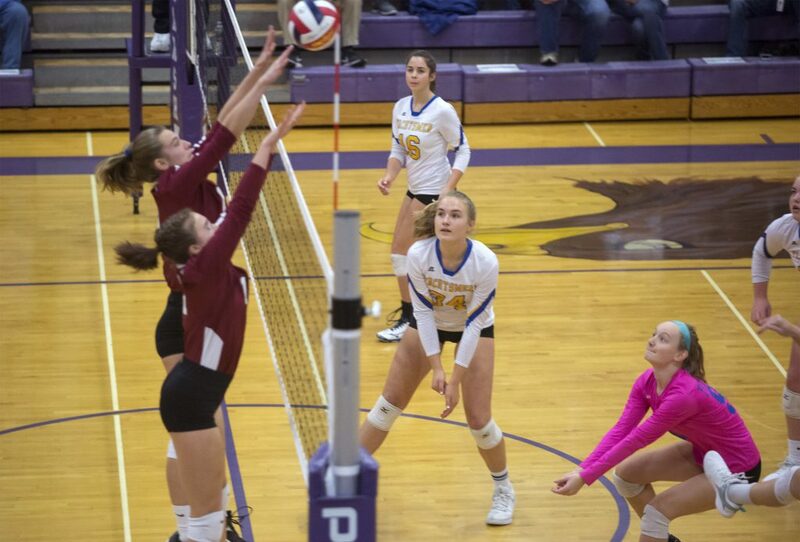 In the first set, Falmouth went on a 9-0 tear that turned into a 14-2 run before Gorham battled back with an Evelyn Kitchen kill, a Kitchen block and a well-placed shot by the middle hitter. 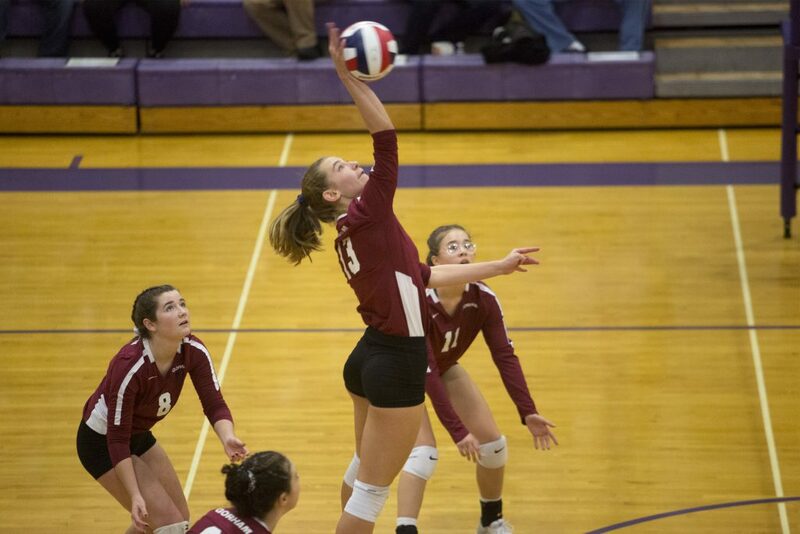 After Rams setter Isabelle Kolb served an ace, Gorham pulled within 19-13. After two misplaced shots by Gorham, however, Spiegel and Phillips executed their slide play to make it 23-14. 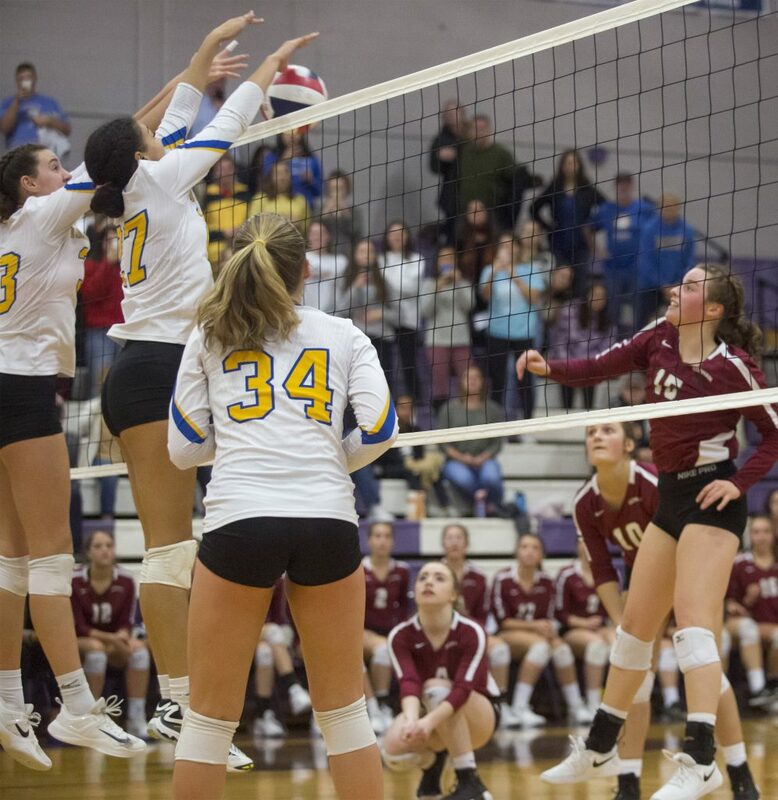 Gorham junior Talia Catoggio’s two aces helped pull the Rams within five, but after a Phillips kill, the Yachtsmen won the next rally to take the set. 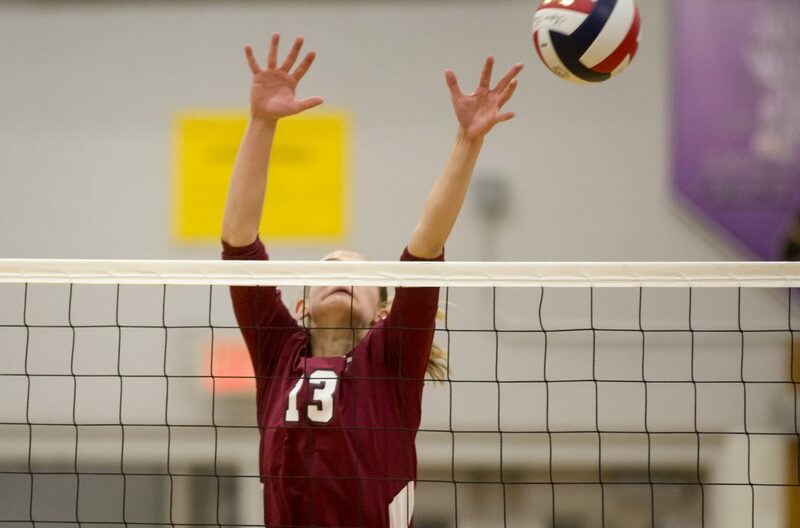 In the second set, Falmouth again took the lead again, although Gorham kept it closer. 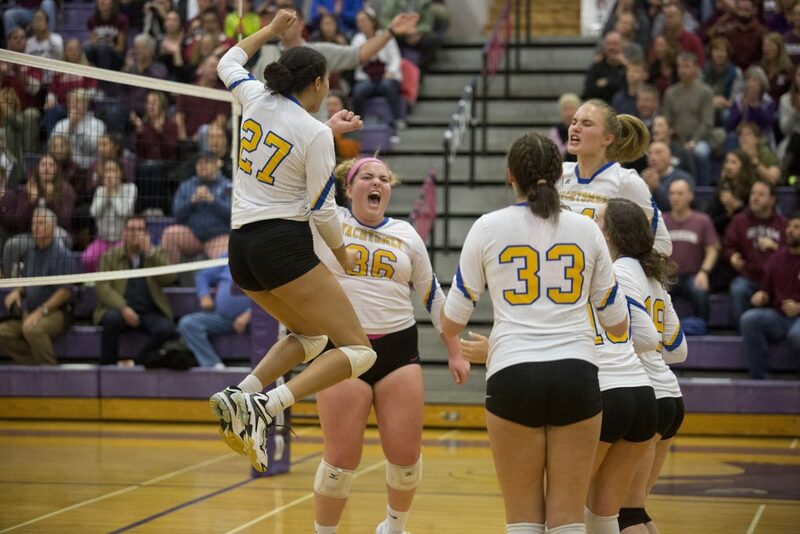 After a Kitchen block and an ace from Kolb, the Yachtsmen led 10-9. 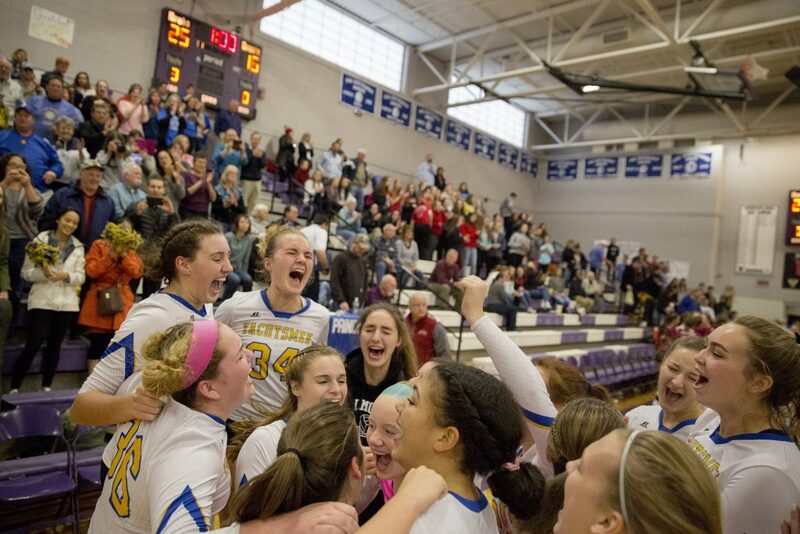 But then Hester found a hole, and senior Alex Burton did as well, and Falmouth pulled away. 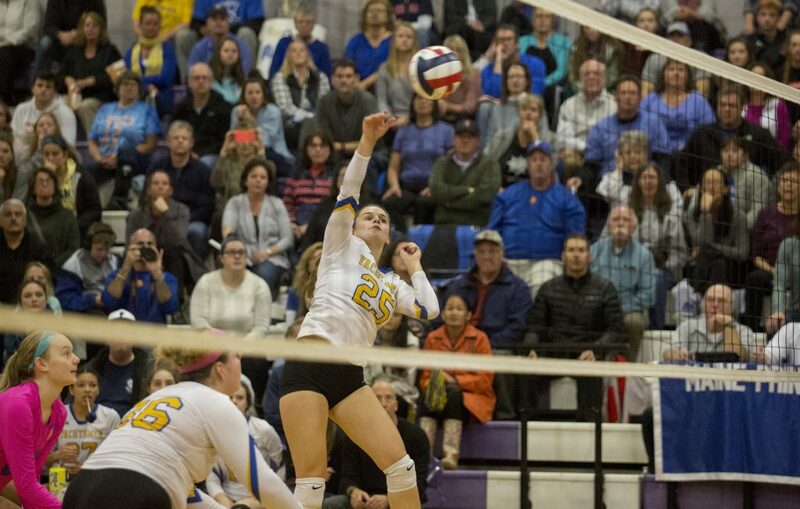 The set ended with Hester setting up a Hillary Bouchard shot to the back line. 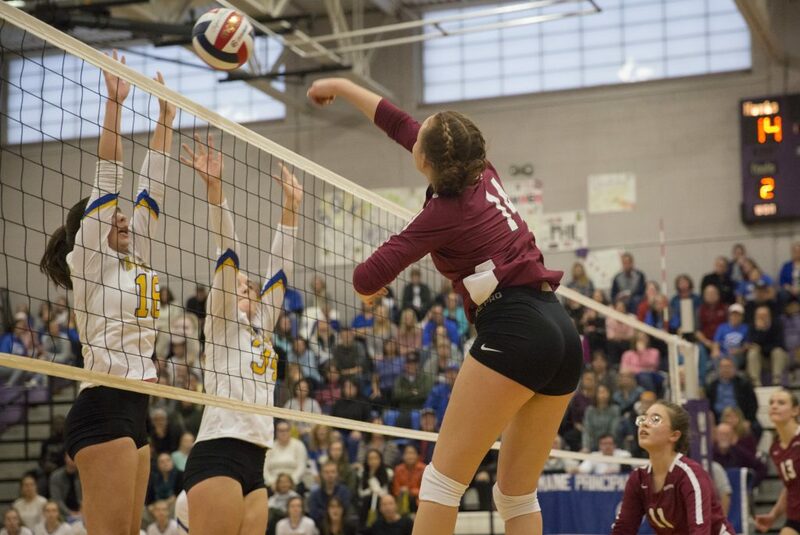 After Falmouth took a 4-0 lead in the third set, the teams traded points and Gorham twice tied it. 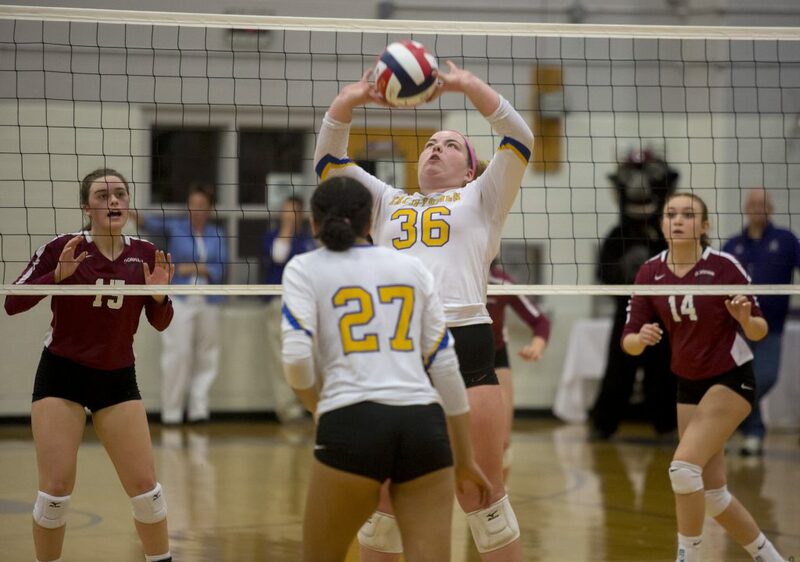 But Falmouth soon opened a lead, as Hester had four of her kills in the set and twice found a hole to win the point. The match ended with two Riversmith blocks.